The New Bedford Preservation Society has undertaken the Captain Daniel Drayton Monument Restoration Project with a goal to raise $4,000 for this project, which it hopes to complete in 2015. The Drayton monument at New Bedford’s Rural Cemetery has been in a state of disrepair for many years. In 1857, Reverend Photius Fisk, a U. S Navy chaplain and visitor to New Bedford, donated funds to help pay for this monument to honor Captain Drayton. 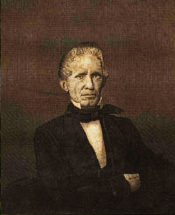 Captain Daniel Drayton (1802 - 1857) is noted for his attempt in 1848 to save 77 slaves aboard his schooner, The Pearl, then anchored in Washington. His plan was to sail them south on the Potomac River and then north via Chesapeake Bay to Philadelphia to freedom. Due to tides and bad weather, he was forced to anchor just short of the Chesapeake Bay, where his ship was discovered. The slaves were returned to their owners and Drayton was convicted under the Fugitive Slave Law and spent four years in prison. In 1852 he was pardoned by President Millard Fillmore. In 1857, distraught and in poor health, struggling emotionally and financially from his imprisonment, he returned to New Bedford, where he committed suicide at the Mansion House. He had told an old friend New Bedford friend, William Bush, that he had come there to die and wished to be properly interred, although Bush took the remark as a jest. 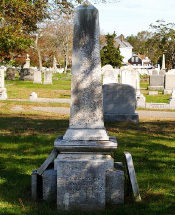 His grave at New Bedford’s Rural Cemetery was kept in perpetual care by black activist Henry O. Remington and the New Bedford Union Club, an organization of men of color, for this lost hero of Abolitionist history, whose escape attempt was the largest in United States history. Rex Monumental Works of New Bedford has ordered the marble for this project, which will be inscribed with two of the three original biblical verses on the stone. The third inscription, which is unreadable, will be left blank so that if it is found in the future, it can be engraved at a later date.